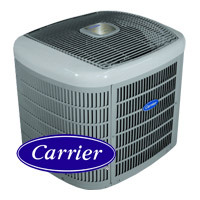 Carrier is known worldwide for their quality residential and commercial HVAC systems. Perhaps one of their quality heat pumps will be perfect for your home. With a SEER rating of 21 the Carrier Infinity series raises the bar. There isn’t any homeowner who hasn’t heard of the name Carrier. Carrier residential and commercial heating and air conditioning units are installed in homes and businesses all over the world. It’s a very trusted name in HVAC. As a matter of fact Carrier has been in business since 1915. Their latest accomplishment has been introducing the Carrier Infinity heat pump with a SEER rating of 21. They continue to win accolades and awards from trusted sources like Consumers Digest and Home Magazine for quality and efficiency. Carrier offers many different models of heat pumps namely, the Infinity with Greenspeed Intelligence, Infinity Series, Performance/Comfort Series, Performance Series Compact, and Comfort/Base Series. All of these Carrier heat pumps use Puron refrigerant, also known as R410A. There are currently units on the market using R 22 refrigerant which is being phased out and will no longer be permitted by 2020. Puron is said to be safer for the environment, more energy efficient and more costly to install. Another reason to consider replacing your heat pump is that you may receive a tax credit. Carrier heat pumps installed with a SEER of at least 15 and an HSPF of 9 can quality you to get a $300 tax credit when it is installed in your primary residence. Most experts will suggest that if you’re planning on living in your home for at least eight to ten more years that you consider installing a new heat pump with a high SEER and HSPF. When it comes to the Carrier heat pump models the advanced Carrier Infinity Series heat pumps offer the highest efficiency rating, with the Performance and Comfort Series providing the most economical comfort, with regards to efficiency, the higher the SEER and HSPF rating, the higher the efficiency. This heat hump offers the highest efficiency of all the models. It has been developed with the new Greenspeed intelligence technology making it the first of its kind. This variable speed technology makes it possible for precise delivery of heating or cooling in longer and lower speed run times. What this means is that you will receive comfortable heating, great savings and minimal operation sounds. These Carrier heat pumps offer a high efficiency design for total comfort. This series also includes the single or dual stage units. The dual stage units are more economical in lower stage settings. The Infinity series has also been developed to be used in conjunction with an Infinity series furnace, this will create an economical hybrid heat dual fuel system, so if you are looking at saving costs all year round, this would be the ideal option for you. The infinity series range from Carrier has also been offered the prestigious “Best Buy Award” from Consumers Digest. The Performance and Comfort series heat pumps offer great flexibility, with its SEER rating of up to 16.5, making it a very efficient heat pump. It allows for low cost electric heat during the cooler months due to its reverse operating function and has a very low operation sound. The Performance Compact series has a small compact design allowing for many installation options. It has an advanced efficiency rating of 15.5 for its size. The design functionality of the Performance Compact series makes it possible to have it installed on the roof of your home. 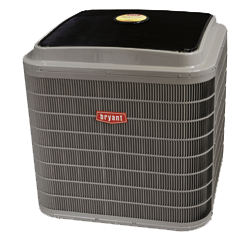 The Comfort/Base Series is the most economically priced heat pump available. It has an efficient cooling system with a SEER rating of up to 16.0, it also offers the reverse operation function for colder weather conditions, this offer great low cost electric heat. This warranty applies to the original owner of the heat pump system and will include; a 10 year parts limited warranty if you register your new equipment within the 90 day period after purchase. If you do not register within the 90 day period, your warranty will be decreased to 5 years. In circumstances where the warranty benefits cannot be conditioned on registration, a 10 year parts limited warranty will be automatically issued. The innovative Carrier geothermal heat pumps obtain their energy source from relatively constant heat found just beneath the Earth’s surface. These Carrier heat pumps provide both heating and cooling for your home and are able to offer the highest efficiency compared to the other heat pump series. Puron Refrigerant – this is a environmentally friendly refrigerant designed not to harm the ozone layer of the Earth. The Puron refrigerant has been approved by the US Environmental Protection Agency, which requires all manufacturers to phase out all ozone depleting refrigerants in the next few years. Scroll Compressor – this is a specially designed compressor that operates in a circular motion instead of the more common up and down action, this is believed to cause less strain on the moving parting within the heat pump and more efficiency. Carrier have their own data base of authorized dealers which have great expertise in Carrier products. They can offer great advice when it comes to buying a new heat pump, installation and servicing. Factory dealers can also provide you with their superior products, great insight and will offer you the best service available. Factory Authorized Dealers are required to meet stringent standards of customer satisfaction which is another reason why you will get the best customer satisfaction from a Carrier dealer. Carrier dealers are required to meet strict guidelines when it comes to liability coverage, warranties, product training, installation, EPA certifications, and repair procedures. It is a daunting task to become an authorized Carrier dealer, only those dealer who meet the highest standards for their technical abilities and business practices can earn the Carrier Authorized Dealer distinction. 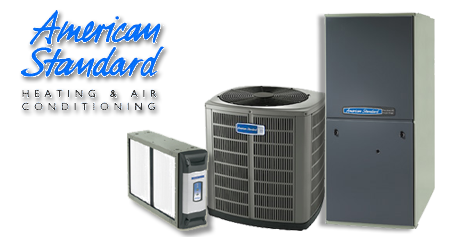 Bottom line, if you own a Carrier heat pump or need to replace it, you shouldn’t look further than your local Carrier Authorized Dealer. The Carrier dealer will arrive at your home at the scheduled time, or will notify you in advance if the appointment needs to be rescheduled. The dealer will need to inspect your existing heat pump and may need to access all areas of your home for inspection purposes, this way he will get an better understanding of your heat pump setup. The Carrier dealer may require additional information about your heat pump system, so have all required documentation ready. This information may be from purchase and repair dates to heating and/or cooling goals. The dealer will arrange a follow up meeting in order to discuss any other problems that may arise. When it comes to the financing of a new heat pump you don’t have to be left in the dark. Through Carriers relationship with Wells Fargo Retail Services, participating dealers can offer flexible financing options for your new heat pump. This is great for those unexpected break downs or repairs that need to be done. Buying a new heat pump for your home is an investment for most. If you, like many people do, decide not to use a Carrier Authorized dealer to install your heat pump, there are other options available to you. There are many experienced on tractors available to do the job, you’ll just need to do your research and find one that is best for you. Carrier heat pump prices and installation costs for various models can vary greatly from one contractor to another. But no matter how inexpensive or affordable a HVAC contractor may seem, if you make a mistake during the hiring process, you can easily be paying for unnecessary repairs and problems during the lifetime of the heat pump. So it wouldn’t be extreme to say that selecting the right contractor is the next most important decision you can make after selecting a heat pump manufacturer. While picking a solid brand like a Carrier heat pump is vital, it has been proven over time that the majority of heat pump problems are the result of poor or sloppy installations and not from bad equipment as many think. Use the following list to evaluate the various contractors that are bidding on your heating pump project. After looking over each of the factors outlined below you will be accurately make a judgment on the skills of each Carrier heat pump specialist. Talk to each contractor about their opinions on Carrier heat pumps and heat pumps in general. Some old timers don’t like Carrier heat pumps and prefer installing traditional central air units with fossil fuel furnaces for heating. Others have lots of experience with installing and maintaining Carrier heat pumps. Listen to what each contractor is telling you about their heat pump experiences. 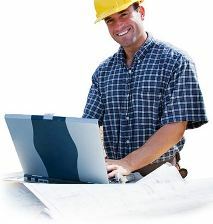 Has the contractor calculated the heat-gain & heat-loss and shown you the results in a written report? A complete heat loss or gain report shows a contractor the best size of heat pump to install. Don’t let any contractor talk you into buying a heat pump based on some mythical “rule of thumb”. Get the facts before you accept a quote. Did your contractor talk to you about additional duct work? 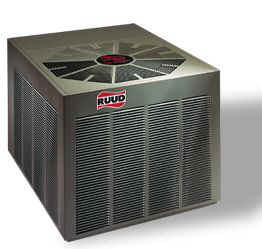 Often a well designed heat pump system needs good duct work in order to work properly. After all what good is the most powerful heat pump is the duct work is sloppily or poorly installed and all that expensive heat or cool air escapes through leaks and cracks? How much insulation does he recommend? Almost all heat pump systems need some form of insulation, especially if you are wanted to install units that are prone to creating a lot of sound or vibration. Has the contractor explained his guarantee policy? Does he offer a promise of customer satisfaction upon finishing the job or project? Have he gone over the warranty for the covered parts and labor and given you a written time limit for the service contract. And does he offer an extended warranty and for how long? Does he provide you will heat pump kit that contains an owner’s manual, clear written or graphical instructions on what maintenance you as a new owner need to perform on an annual basis? Does this kit list the size and type of air filter you need and a replacement schedule for them? So as you have read selecting a good HVAC contractor is as important as to which heat pump you select. Using the guidelines above should allow you to find the right contractor for your Carrier heat pumps project.